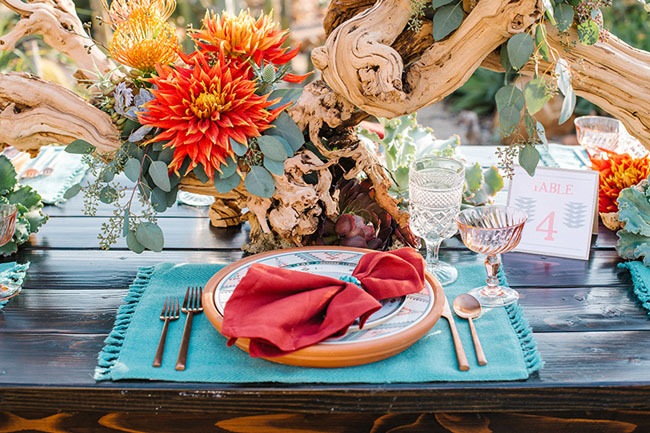 Sometimes it seems like a pastel color story is the only way to go for an airy desert celebration, but today’s creative team – Always Flawless Productions + Cherry Blossoms Floral Designs – set out to change that misperception and style a desert scene with a bold palette and Southwestern details. 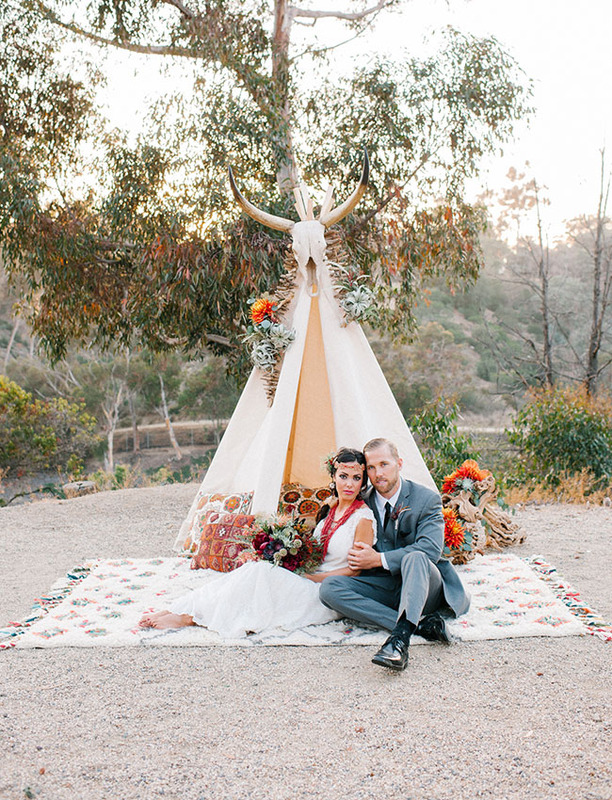 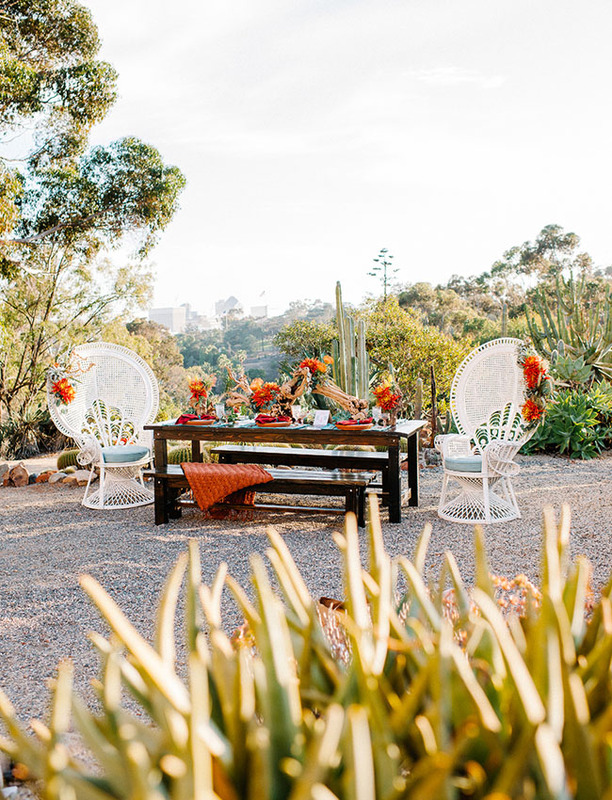 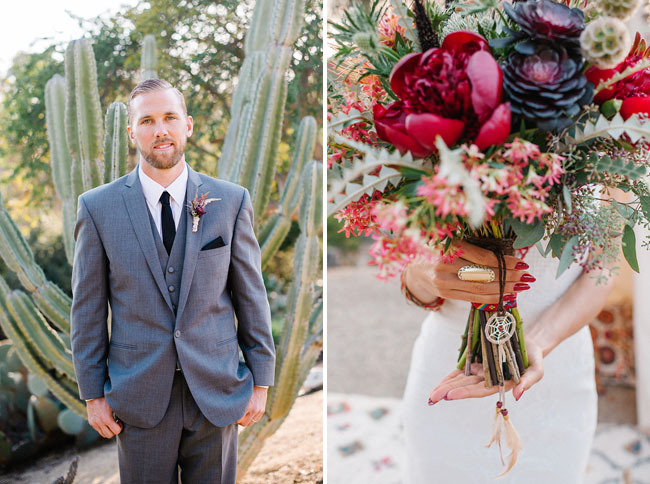 They chose 1935 Cactus Garden in Balboa Park in San Diego, California as their backdrop + filled the setting with richly-hued florals, colorful bridal accessories + intricate, patterned textiles. 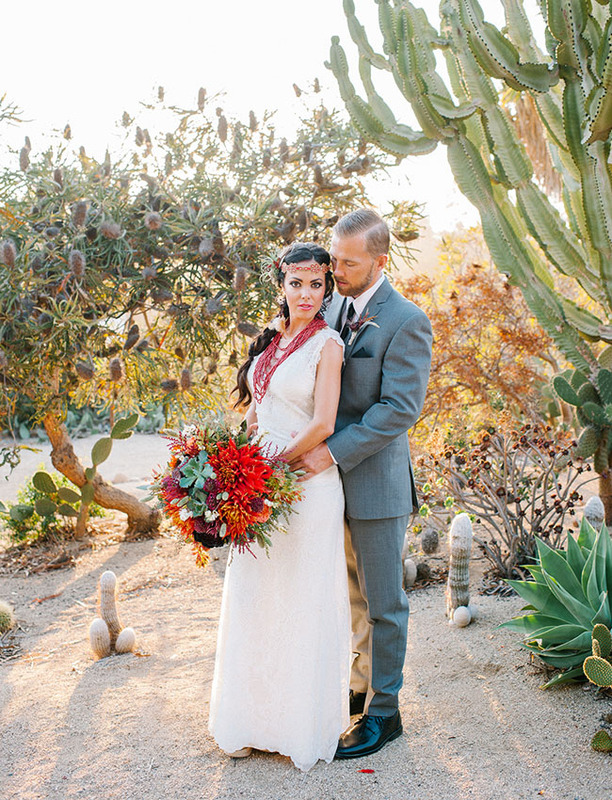 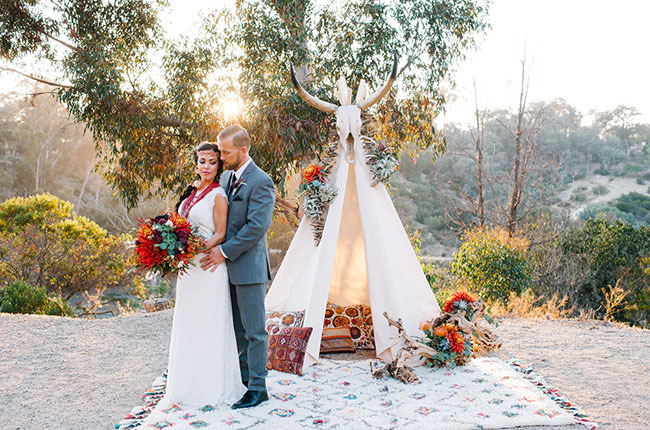 And the editorial they created, captured beautifully by Mr and Mrs Wedding Duo, is the perfect dose of inspiration for couples tying the knot in the desert in the fall! 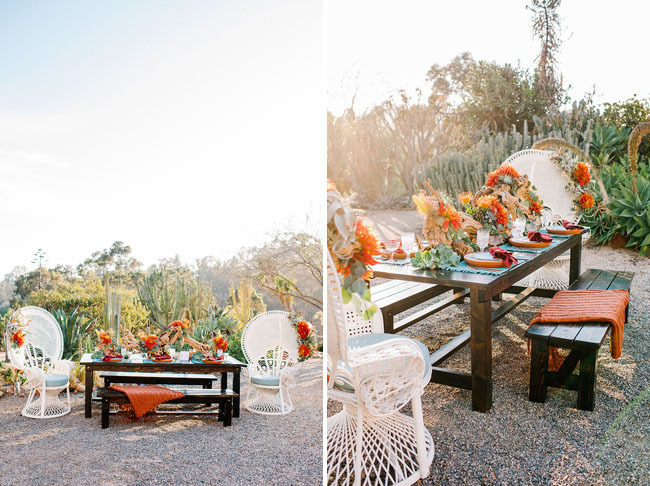 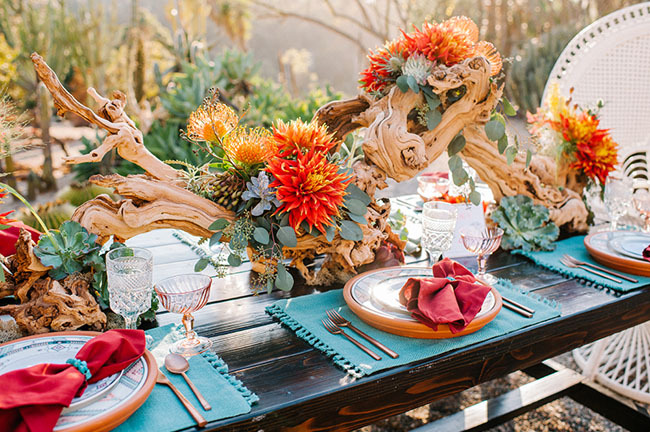 Ashley of Always Flawless Productions shares, When it came to the tablescape, we used various wooden elements to create a very neutral base to maintain that desert ambiance. 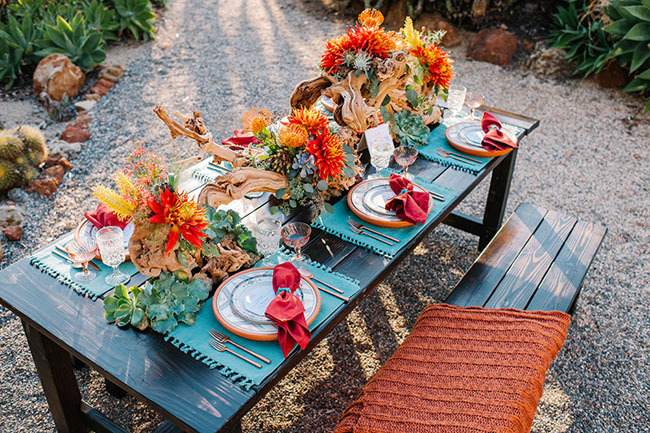 Bold colors, used in both the floral and the table settings, were then layered on top of the neutrals to create a stunning and eye-catching presentation. 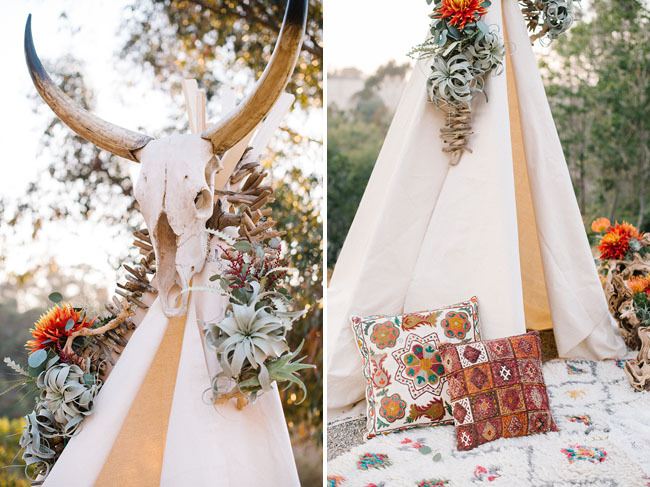 To top it all off, we used southwestern patterns throughout the design to pull the entire look together. 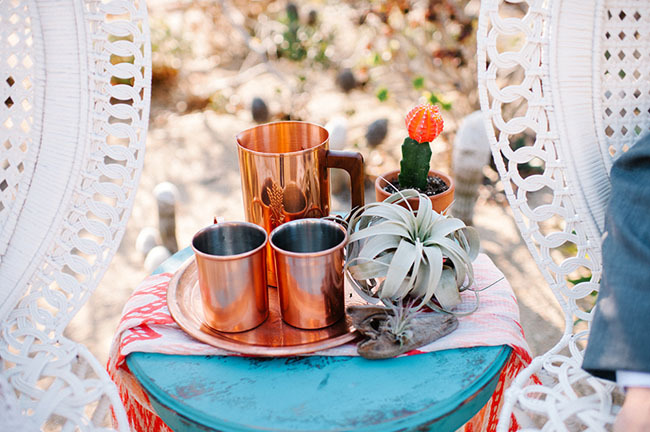 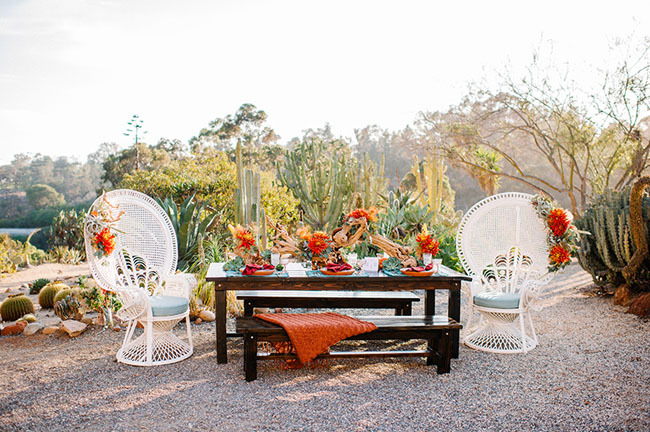 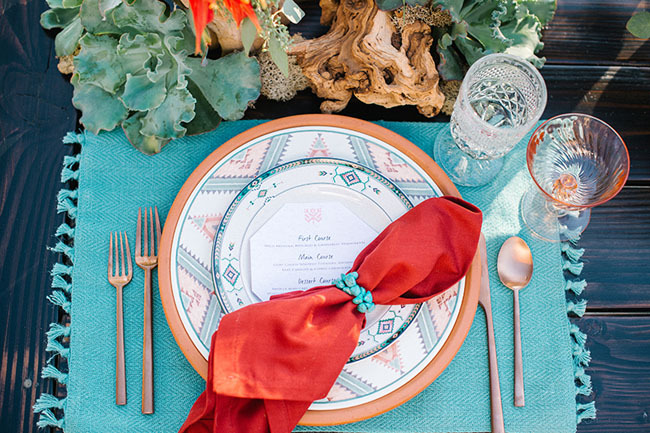 We love the Southwestern-inspired dinnerware from the tabletop rental company Borrowed Blu. 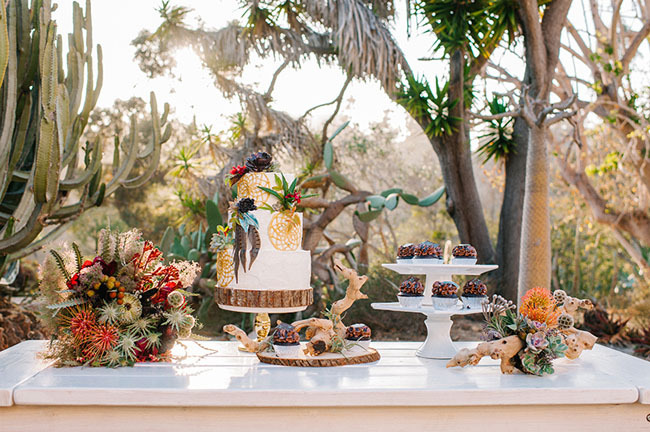 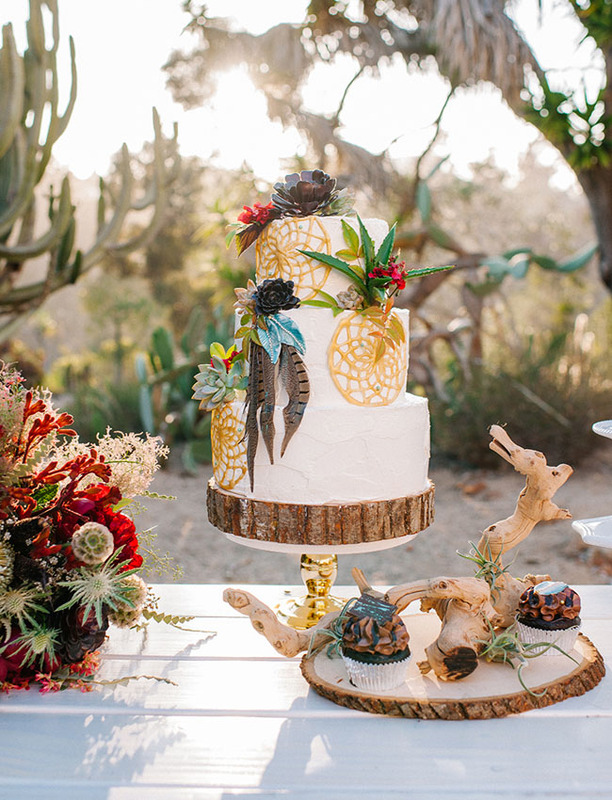 A feather + dreamcatcher cake by Frost Me Gourmet was a perfect fit for the stylish, arid setting. 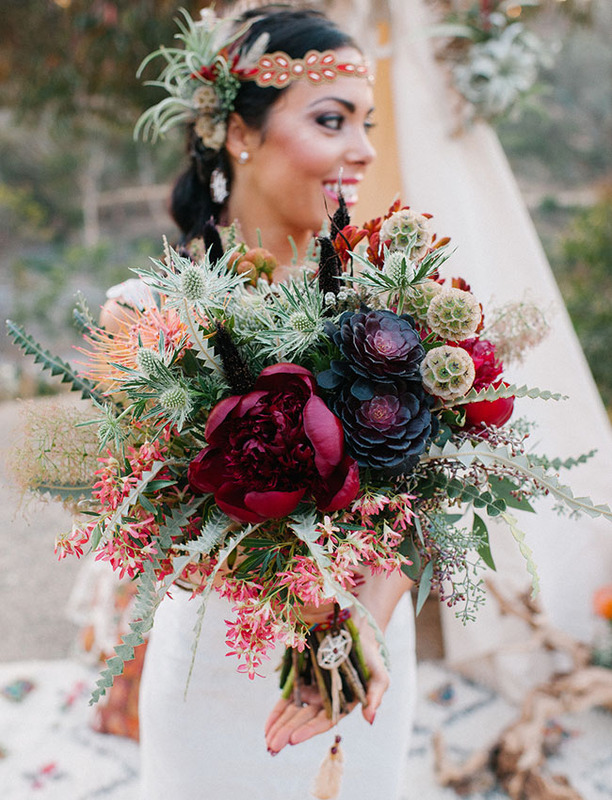 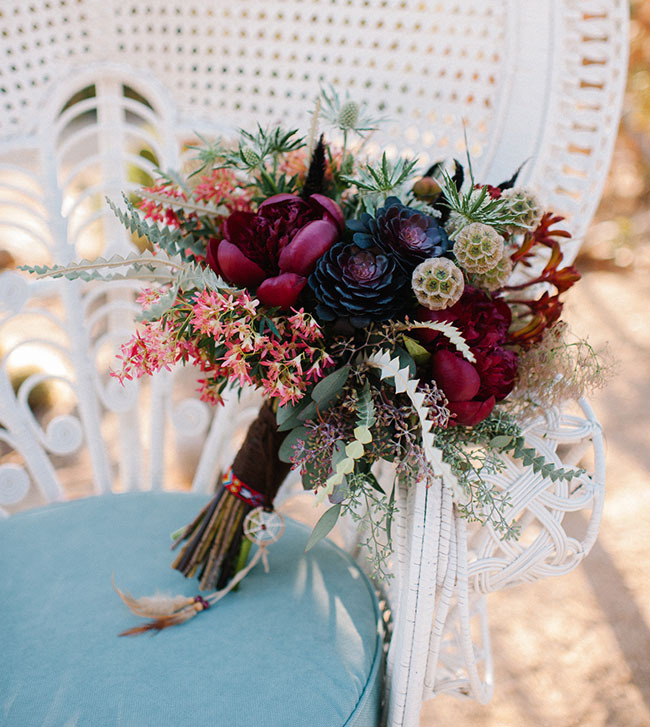 Aside from that showstopper peony, this absolutely stunning bouquet looks as though it could have been pieced together with foraged local desert finds. 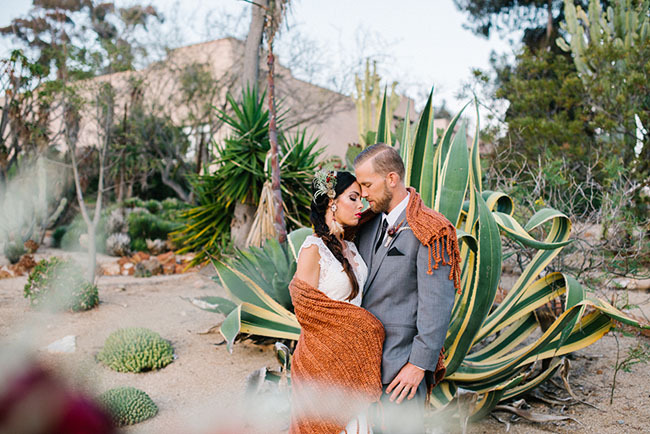 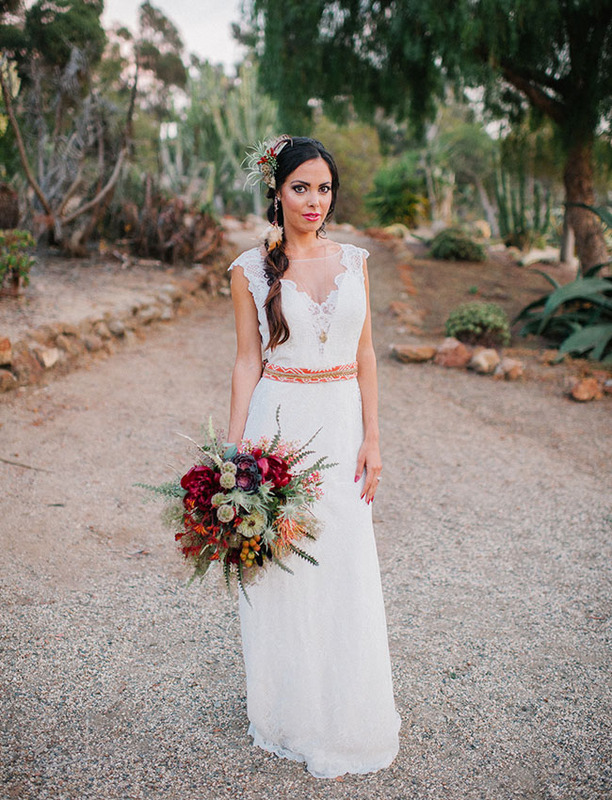 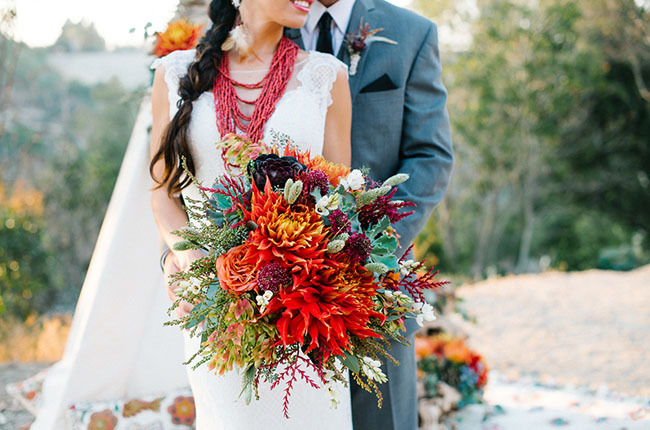 Did you love seeing a bolder palette with a desert backdrop? 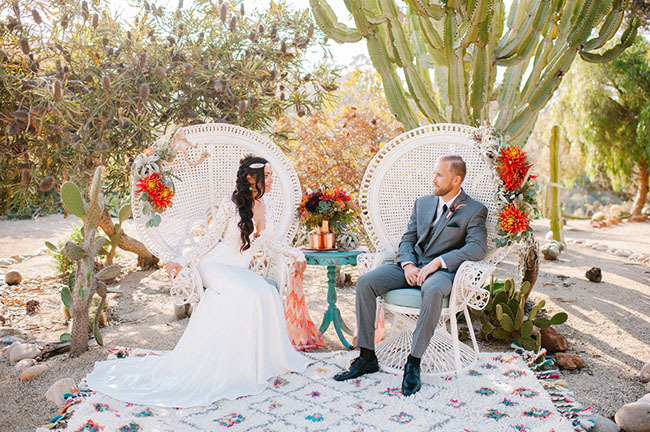 Do tell in the comments section below! 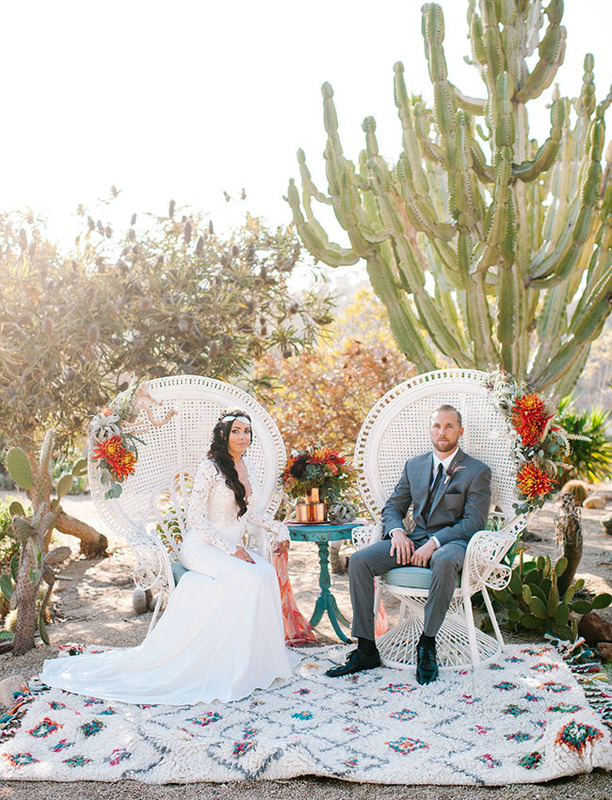 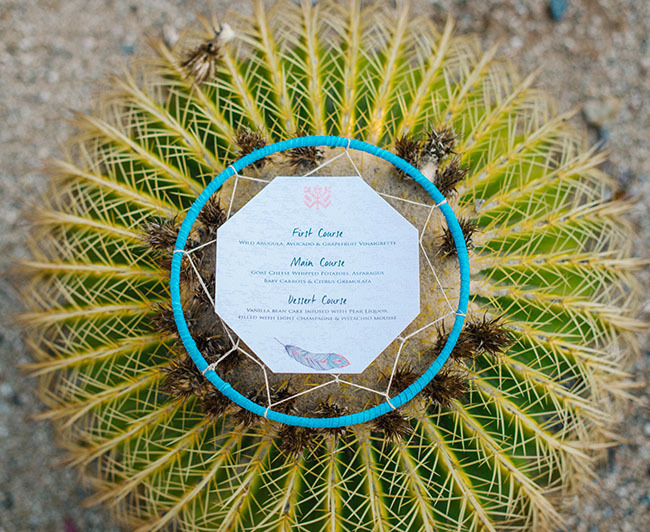 Thanks for the amazing images and this desert wedding inspiration! 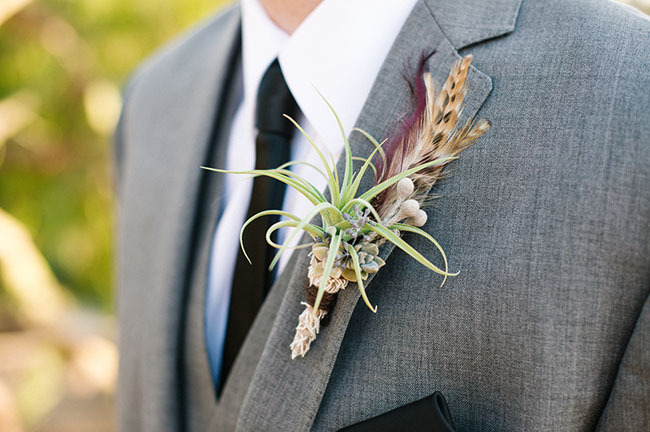 Love all the details! 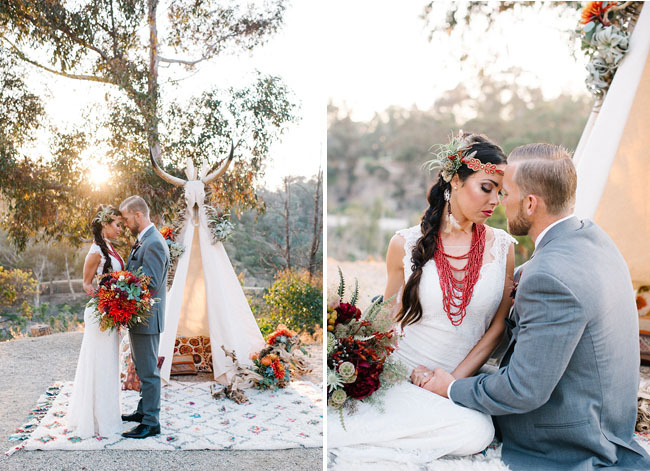 I can imagine how wonderful the wedding is through these beautiful pictures! 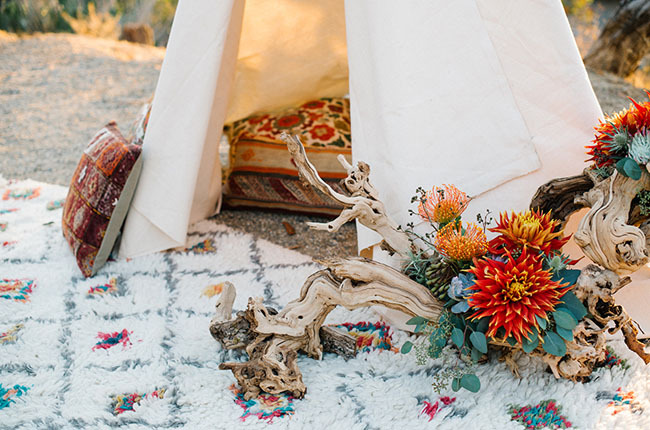 Sonoma Getaway Guide + Win a Trip to Sonoma!